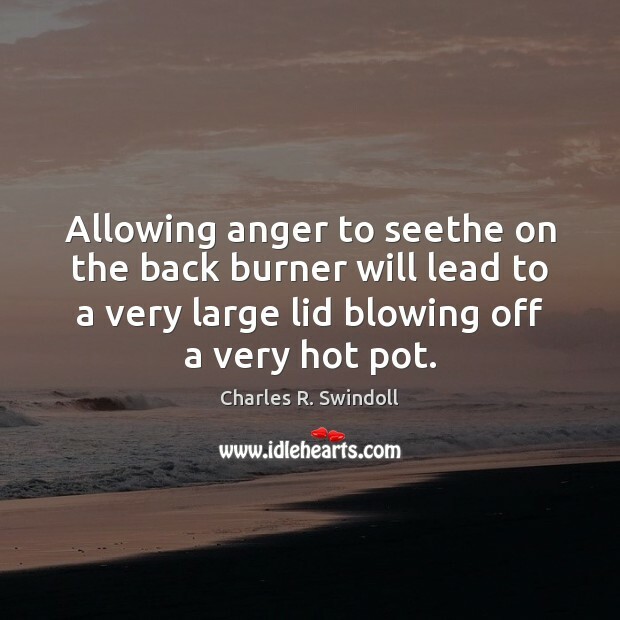 Quotations about Back Burner. Quotes to stimulate mind and drive action! Use the words and quote images to feed your brain inspiring things daily! I, alas, must present myself somewhat ignominiously as a chef in a busy kitchen. 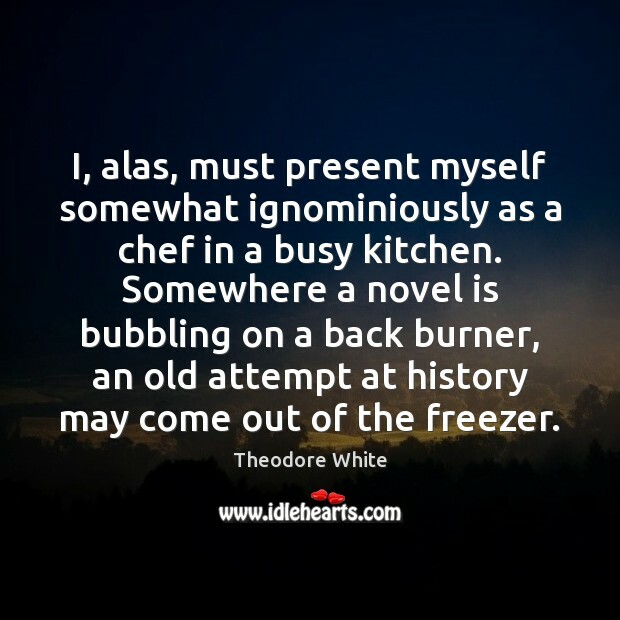 Somewhere a novel is bubbling on a back burner, an old attempt at history may come out of the freezer. 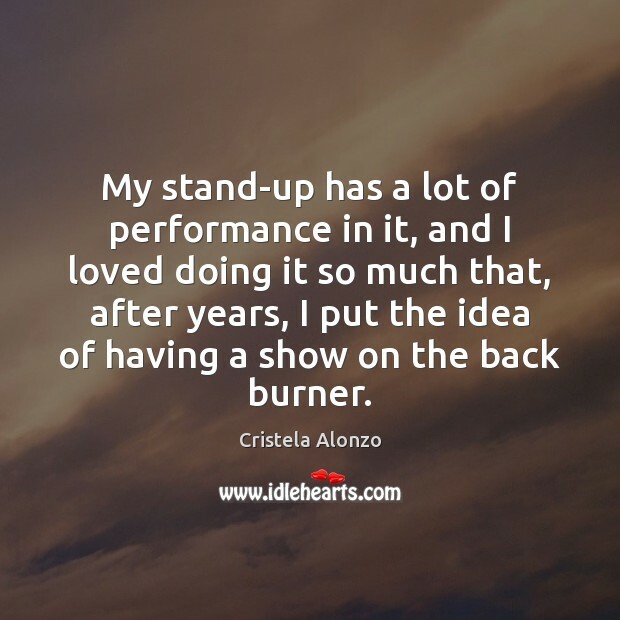 My stand-up has a lot of performance in it, and I loved doing it so much that, after years, I put the idea of having a show on the back burner. Most cooks would not, for example, prepare an important, elaborate, and difficult dish on the back-burner. 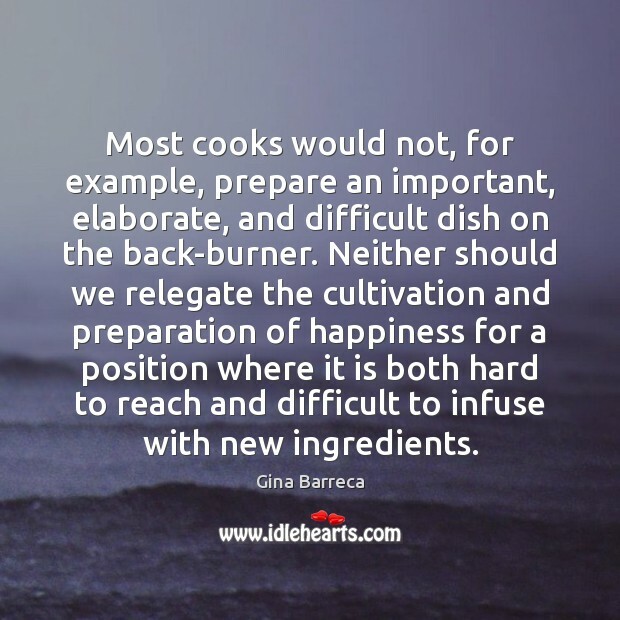 Neither should we relegate the cultivation and preparation of happiness for a position where it is both hard to reach and difficult to infuse with new ingredients. I think people felt like they did everything they had been told they should do to fix the problem, and it still wasn't fixed. 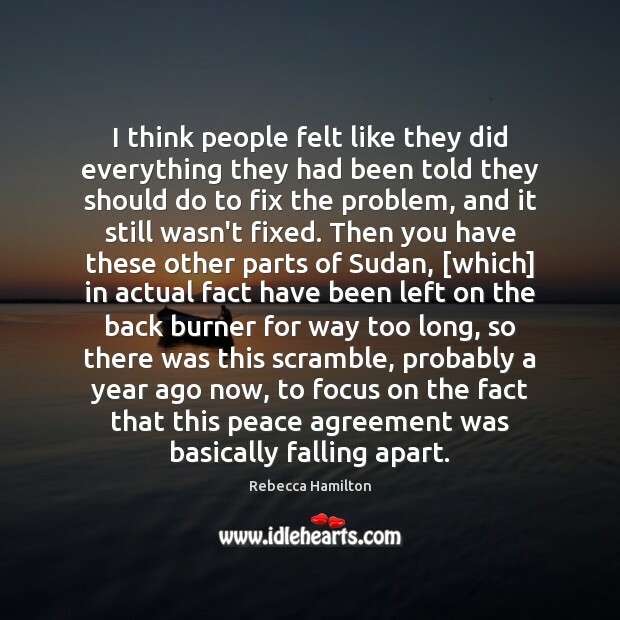 Then you have these other parts of Sudan, [which] in actual fact have been left on the back burner for way too long, so there was this scramble, probably a year ago now, to focus on the fact that this peace agreement was basically falling apart. 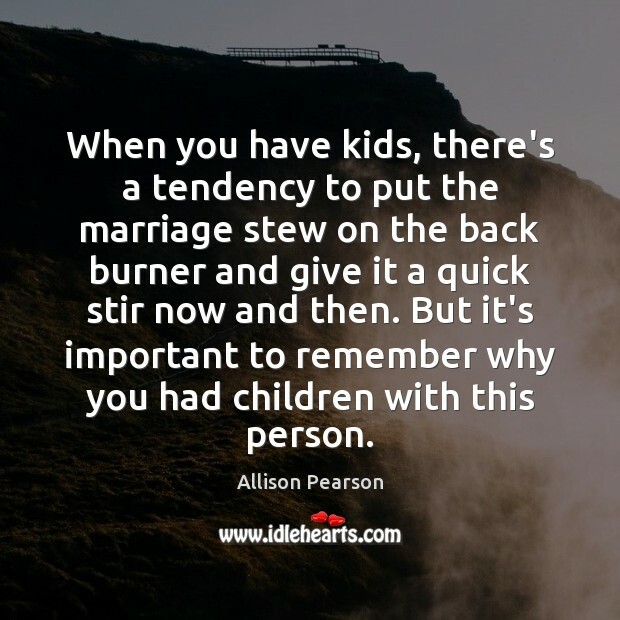 When you have kids, there's a tendency to put the marriage stew on the back burner and give it a quick stir now and then. But it's important to remember why you had children with this person. 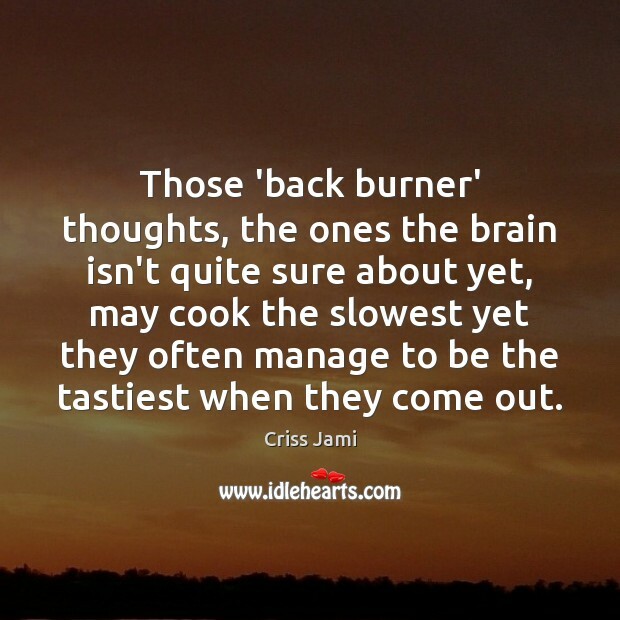 Those 'back burner' thoughts, the ones the brain isn't quite sure about yet, may cook the slowest yet they often manage to be the tastiest when they come out. 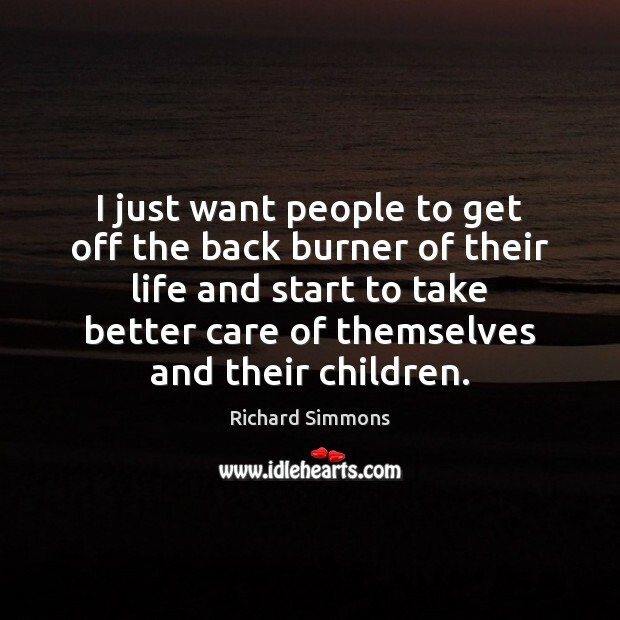 I just want people to get off the back burner of their life and start to take better care of themselves and their children. When you're working and you're busy and you're successful, no matter what, something suffers, whether it's your relationship with your mother, your relationship with your whole family. 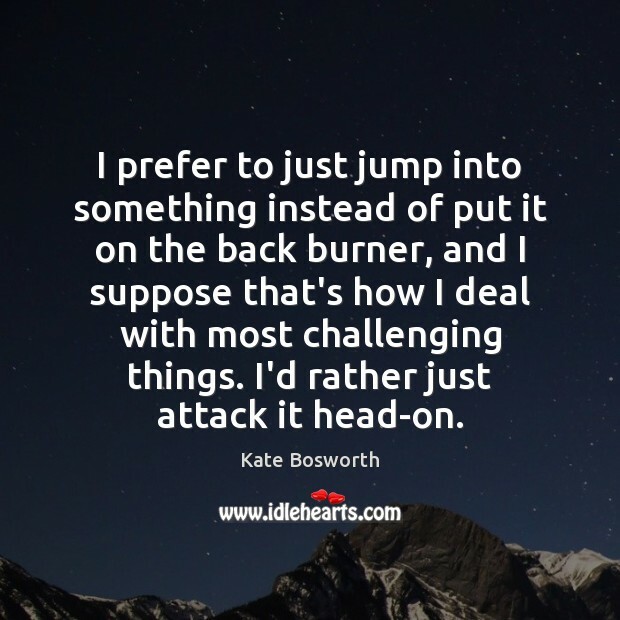 Certain things suffer and take the back burner, not because they're on the back burner in your heart but because the world just moves so quickly. 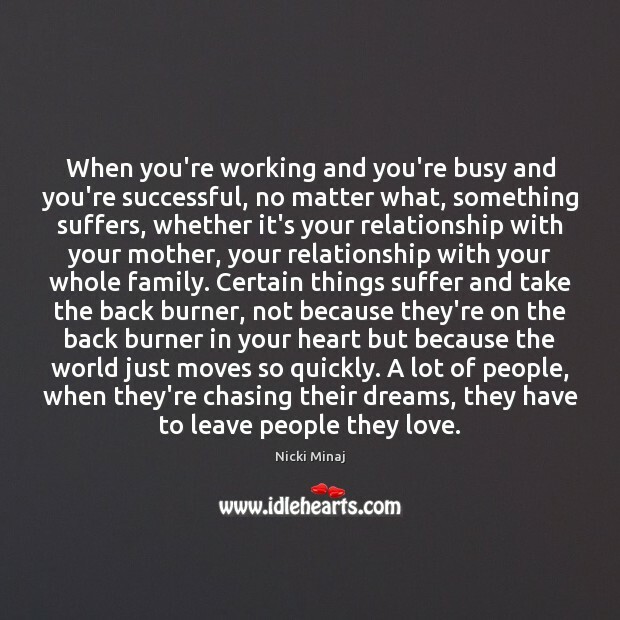 A lot of people, when they're chasing their dreams, they have to leave people they love. 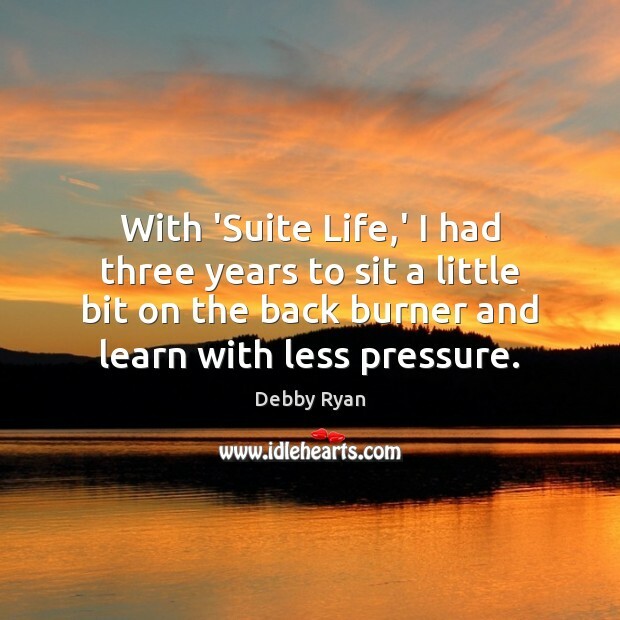 With 'Suite Life,' I had three years to sit a little bit on the back burner and learn with less pressure. 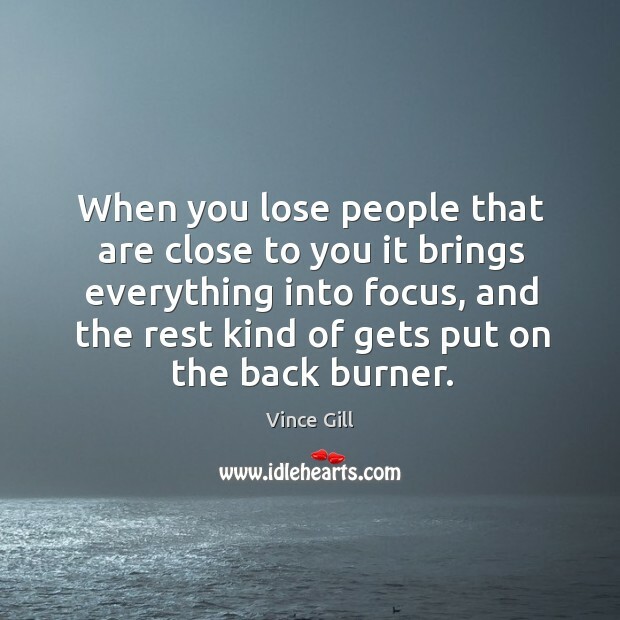 When you lose people that are close to you it brings everything into focus, and the rest kind of gets put on the back burner. 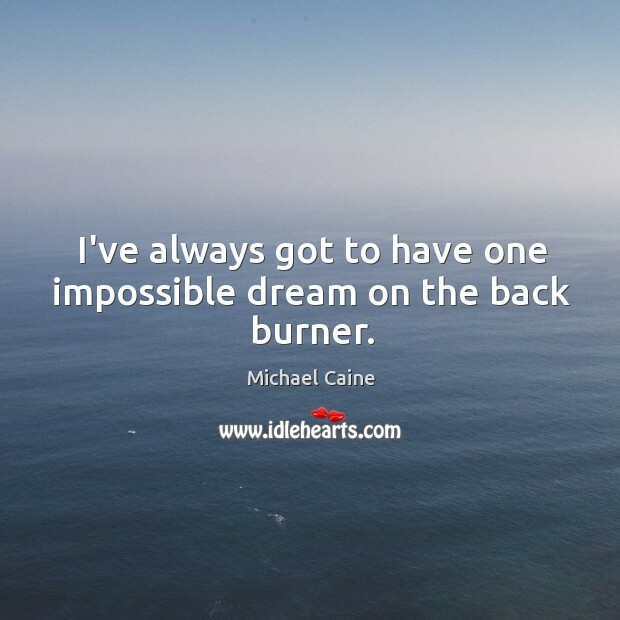 I've always got to have one impossible dream on the back burner. My political science degree is always on the back-burner. I took my LSAT, so even if I want to take the LSAT again, I know what I'm getting into. 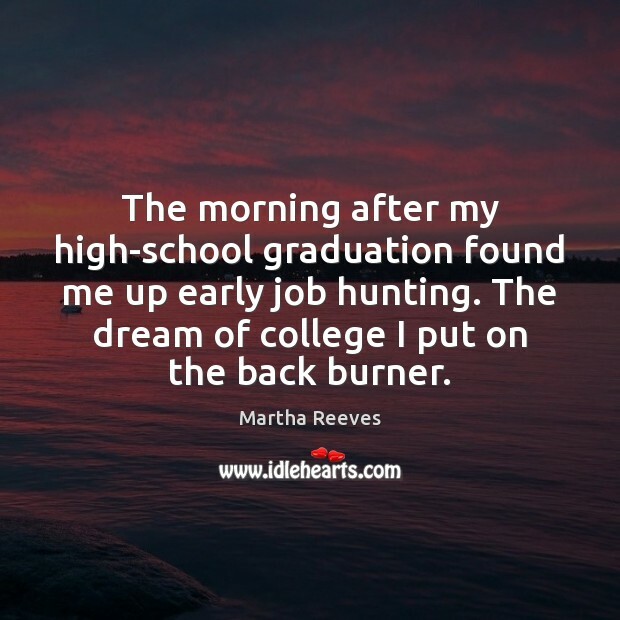 I'll keep it on the back-burner. 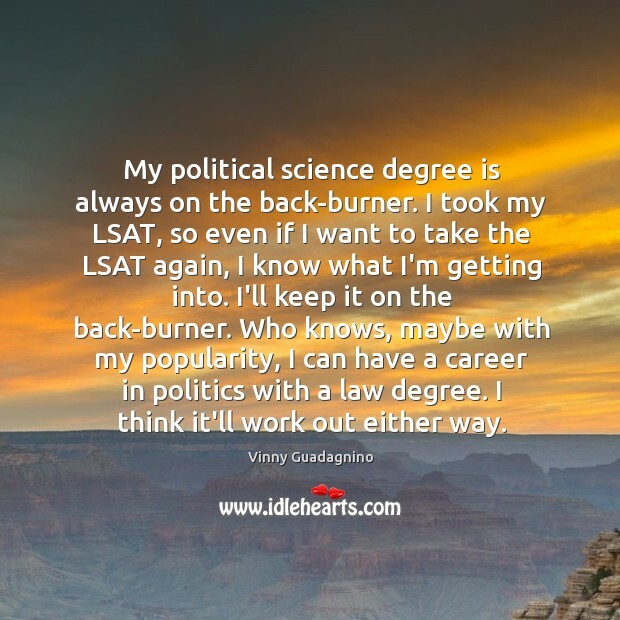 Who knows, maybe with my popularity, I can have a career in politics with a law degree. I think it'll work out either way. 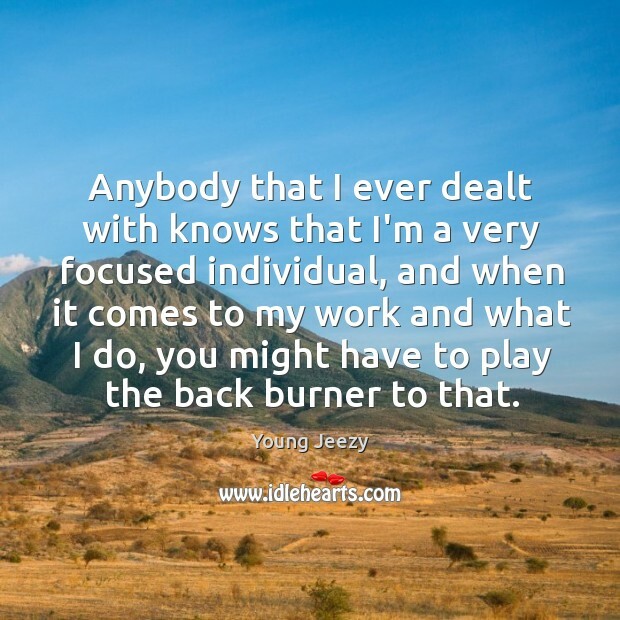 Anybody that I ever dealt with knows that I'm a very focused individual, and when it comes to my work and what I do, you might have to play the back burner to that. 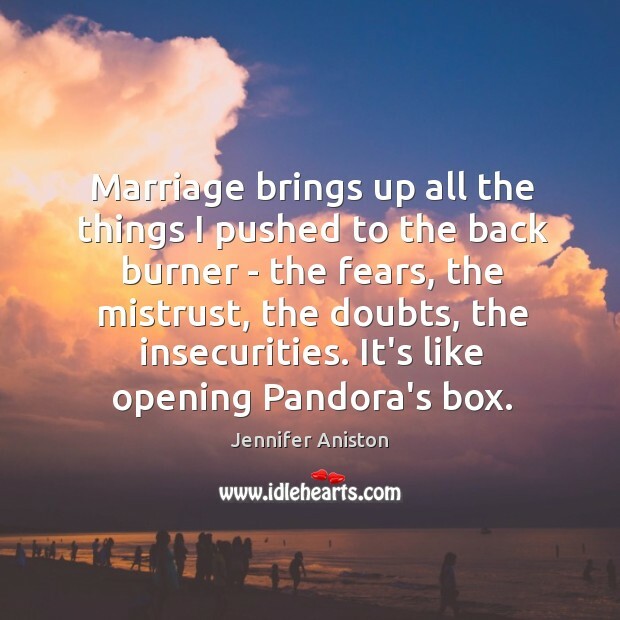 Marriage brings up all the things I pushed to the back burner - the fears, the mistrust, the doubts, the insecurities. It's like opening Pandora's box.